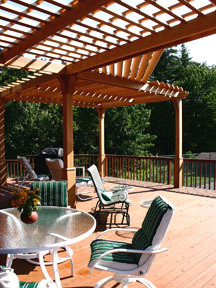 A large deck functioned as a popular gathering area perfect for entertaining, except on those summer days when the heat from the sun became oppressive. 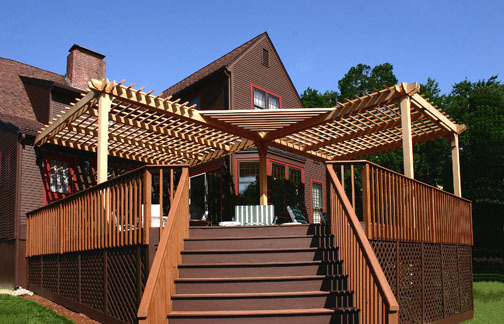 To accommodate a need for a respite from the sun, tandem structures were designed to create significant shade coverage for the deck and also for the adjacent rooms of the house. 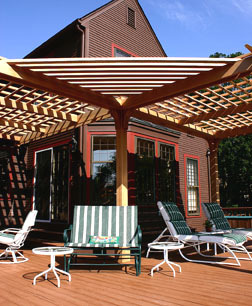 The dense louvered top offered 75% shade in two large areas of the deck. 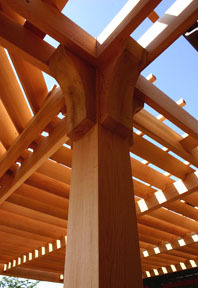 The central open area could have a table with an umbrella or a portable fire pit for evening gatherings.